Funded by a 2015 grant from the U.S.D.A. Forest Service, the Urban Tree Planting for Stormwater project sought to achieve multiple environmental benefits. The project goal was planting more street trees in Springfield, Chicopee and Holyoke to reduce combined sewer overflows and stormwater runoff into the Connecticut River. Urban trees and other green infrastructure installations divert stormwater runoff away from rivers and streams and also reduce stormwater burdens on wastewater treatment plants, where storms can cause combined sewer overflows to pour into the Connecticut River. The Pioneer Valley Planning Commission partnered with the Cities of Springfield, Chicopee and Holyoke, the Massachusetts Department of Conservation and Recreation (DCR) and the Conway School of Design. DCR contributed trees for planting, while students from the Conway School led or co-facilitated interactive public workshops to identify and design appropriate locations for the installation of street trees and green infrastructure into future road reconstruction projects. ce were also able to schedule free tree plantings on their property by DCR personnel, which supported the overall goal of the project. Feedback on the project from local partners highlighted how crucial this work is for the three largest urban areas in the Pioneer Valley. In Holyoke and Chicopee, three two-block study areas were selected based on their location in an area with combined sewer systems and planned upcoming roadwork. 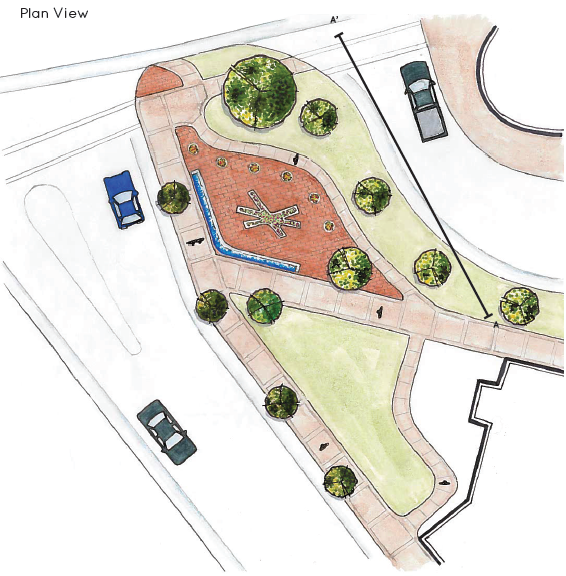 In Springfield, green streets landscape plans were created for the X neighborhood, where an engineering consultant was already in the process of preparing engineering plans for an infrastructure project that will be constructed by the city as part of other roadway improvements. For more information, contact eslotnick@pvpc.org. The Cities of Chicopee and Holyoke and their partners – Pioneer Valley Planning Commission, Valley Opportunity Council and Nuestras Raices - will be hosting a second set of public workshops to promote green streets in those communities to resume a three-year effort to integrate more urban trees and green infrastructure into planned city road reconstruction projects. The Cities of Chicopee and Holyoke and their partners – Pioneer Valley Planning Commission, Valley Opportunity Council and Nuestras Raices - will be hosting public workshops to promote green streets in those communities next week to resume a three-year effort to integrate more urban trees and green infrastructure into planned city road reconstruction projects.